A day celebrating the Internet (or at least Internet commerce) is very appropriate. I just returned from a weekend in an Internet wasteland. We had a lovely time visiting, site-seeing, and spending 14 hours in the car, but I sure missed posting and reading blogs. We hit up Culvers for lunch in the first decent size town after leaving our hotel on Sunday. I was so excited to see all five bars light up on my cell-phone's Internet status, that I practically jumped for joy. For Manga Monday today, I'm not going to post a review of a particular manga. 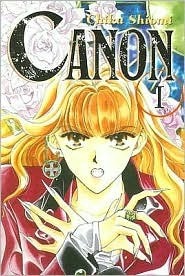 Instead, I'm discussing a popular theme for shojo manga (and all kinds of manga). Japanese girls, it appears, love vampires as much as American girls. 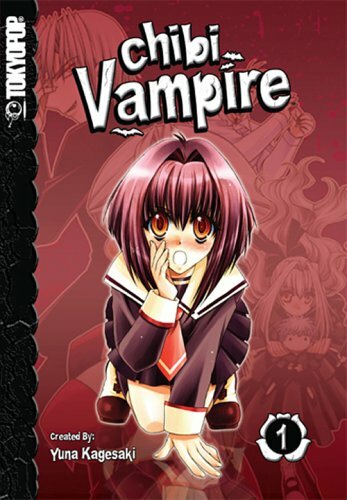 Loads of manga feature vampires as main characters. Yuki Cross has no memory of her past prior to the moment she was saved from a vampire attack ten years ago. She was adopted by the headmaster of Cross Academy, and now works alongside Zero to guard the Academy's secret. Yuki believes that vampires and humans can coexist peacefully, but her partner has different ideas... (courtesy of Goodreads). The most original vampire story in centuries! After millennia in hiding, Mina Tepes, the princess of the ancient covenant and ruler of all vampires, wants change. Using the vast wealth of the Tepes line, she has paid off the entire gross national debt of Japan and in so doing, gained the authority to create a "special district" off the coast of Japan that is to become the future haven for vampires from all over the world! Now, on the eve of the landmark press conference announcing the existence of vampires to the world, terrorists and rival factions are plotting to assassinate Mina Tepes. (courtesy of Goodreads). 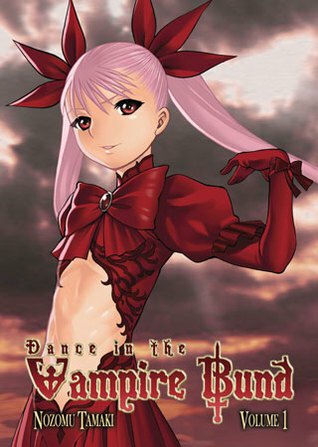 Karin is a cute little girl who also happens to be a vampire...with a twist. Once a month, she experiences intense bleeding from her nose--we're talking gushers! In other words, she's a vamp with blood to spare, so rather than stealing blood from humans she actually gives her blood to them. If done right, this can be an extremely positive experience that benefits the "victim" as much as the vampire. The problem is that Karin never seems to do things right! (courtesy of Goodreads). Set several decades after the events in the popular Blood: The Last Vampire anime film, an amnesiac Saya Otonashi lives as a seemingly normal high school student with her adoptive family in Okinawa. Horrible nightmares are the only hints at the violent life she once led, but her past is about to catch up with her and awaken the merciless warrior within. Chiropterans - powerful shape-changing creatures who need and crave blood - threaten humanity once more, and a mysterious organization called the Red Shield needs Saya's deadly sword skills and mysterious powers to aid in the fight against these beasts. As her submerged abilities begin to reawaken and as she seeks to regain her memories, Chiropteran warriors are guided by a mysterious leader to threaten Saya and her loved ones. 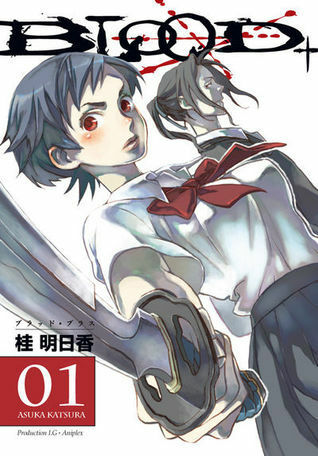 Asuka Katsura's manga series successfully expands upon the original Production I.G./Aniplex feature, delivering moments of jarring violence and thrilling action in a tale that spans several centuries. (courtesy of Goodreads). 17-year-old Chiyuki Matsuoka was born with heart problems, and her doctors say she won't live to see the next snow. Touya is an 18-year-old vampire who hates blood and refuses to make the traditional partnership with a human, whose life-giving blood would keep them both alive for a thousand years. Can Chiyuki teach Touya to feel a passion for life, even as her own is ending? (courtesy of Goodreads). 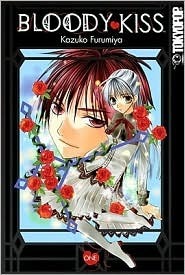 Kiyo is a struggling student who strives to become a laywer and clear her father's name. When she inherits a mansion from her late grandmother, Kiyo thinks she's finally hit a streak of good luck. 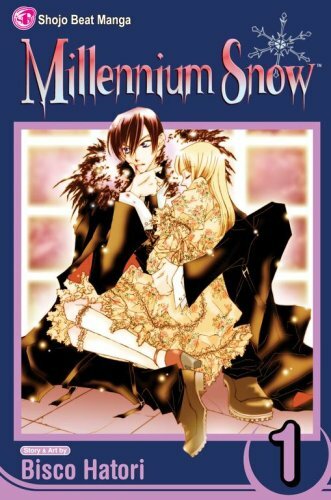 But she soon finds out that the mansion is already inhabited by a couple of vampires, including the handsome Kuroboshi, who seems to have his eyes set on Kiyo for his new vampire bride... (courtesy of Goodreads). Suspense and the supernatural collide in the tale of Canon -- the only student to escape the bloody vampire attack that takes the lives of her fellow classmates. But she doesn't get very far before she is captured, bitten and turned into a vampire herself! Struggling against the terrible needs that compel the undead, Canon commits herself to using her powers for good. She'll do whatever she can to avenge the death of her friends and her own unfortunate fate. Joining forces with Fuui -- a talking vampire crow -- she begins her quest to find Rodd, Lord of the Vampires. (courtesy of Goodreads). Special Thanks to about.com's Recommended Reading List for vampire manga for inspiration and resources for this post. Cool post-- I like Chibi Vampire and I LOVE Vampire Knight. It really is one of the best shojo manga I've read in a long time. Since I know diddly about Manga, all I have to say is these covers have always intrigued me. You continue to pique my interest with these posts, too, but I wouldn't know where to start! I absolutely love Vampire Knight. I had checked it out on a whim from my local library. Now, I'm impatiently waiting for volumes 9 to 11 to become available. I read manga when I was in elementary school then I stopped but OMG! I love the Vampire Knight TV anime...I really want them to continue it.